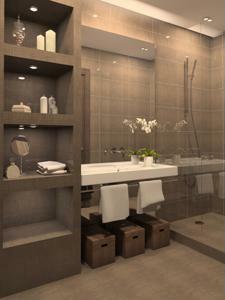 visually increase the size of your bathroom, which can help it seem much larger. Last but not least, these extra shelves can be a place to display photos, souvenirs and other decorative accents.Bathrooms can fill up with clutter very quickly, but there are plenty of ways to keep these extra items out of view and create a welcoming atmosphere in your washroom. What bathroom storage methods have been successful in your bathroom?